👆 Not a preferred reason to buy whisky. 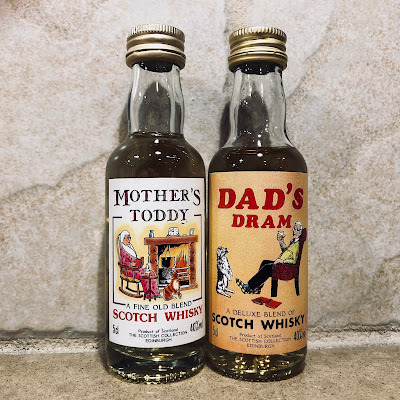 I decided to do a blind Taste Off between Mother's Toddy and Dad's Dram, but needed some additional perspective so I added a more recognizable blend to the blind match up. This is the same Chivas 12 that I'd included in episode 5 of Killing Whisky History (watch it now!). Trying to consume this whisky has proven to be a fugly slog, so this Taste Off offered an opportunity to knock down another ounce. Lots of barley with some decent industrial stink. Brown sugar, fresh linen. Quite grassy, with a hint of lime. Vodka. Nail polish. Grape candy and flower kiss candy. Sawdust, wet cardboard and little bit of maple syrup. Loads of vanilla. Leather shoes. Iodine and band-aids. Pine-scented car deodorizer and new plastic toys. Citrus and wet dog hair in the background. Some shoe polish to go with those leather shoes. Fudge and caramel meet herbal and grassy bitterness. Lemons and barley. Gets more herbal with time, picking up a milk chocolate note. Thin, with plenty of ethyl heat. A vodka-like bite. A hint of coconut. Otherwise it's all flat vanilla and caramel. Iodine and wood smoke. Vanilla, salt, toffee and toasted oak. Small notes of grapefruit and pineapple appear after some time. An herbal bite that grows a bit sharp at times. Tart lemons and a hint of vanilla. Heat, grain, vanilla, coconut-flavored vodka, sour, icky. Lots of barley. Tangy and salty. A hint of smoked salmon. Dad's Dram The prettiest of the three, so I thought it was Mother's Toddy. Apparently Papa enjoys the lighter stuff. It's decent overall, though a bit thin on the palate, and its finish starts to reveal some premature whisky and limp casks. *cough* But it's better than Chivas. 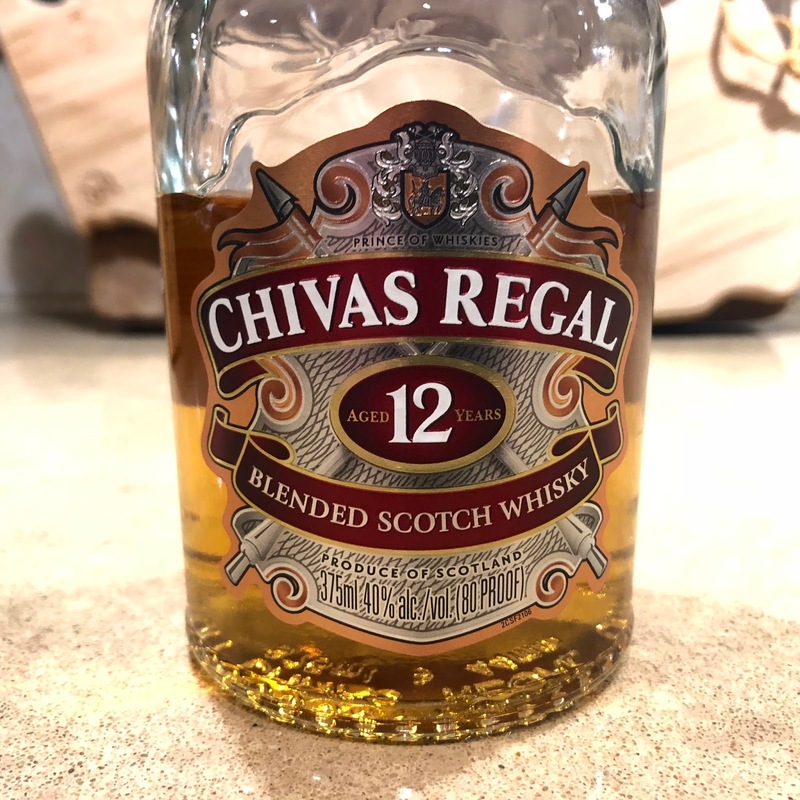 Chivas Regal 12yo I was going to be nice about this, but... This is miserable whisky, descending to Dewars and Cutty levels. What the hell is going on over there? Where's the malt? Stay away from bottling code 2016/03/24 LPBK0521. Mother's Toddy Oh, Mama, I like your style. Plenty of Island malt going on. A very good nose. The low abv starts showing on the too brief finale. At around 46%abv this would be Mother's Papa's little helper. Apparently Mother's and Dad's are part of a whole series. Unfortunately, I don't know where to get them, other than at some of Scotland's tourist shops. 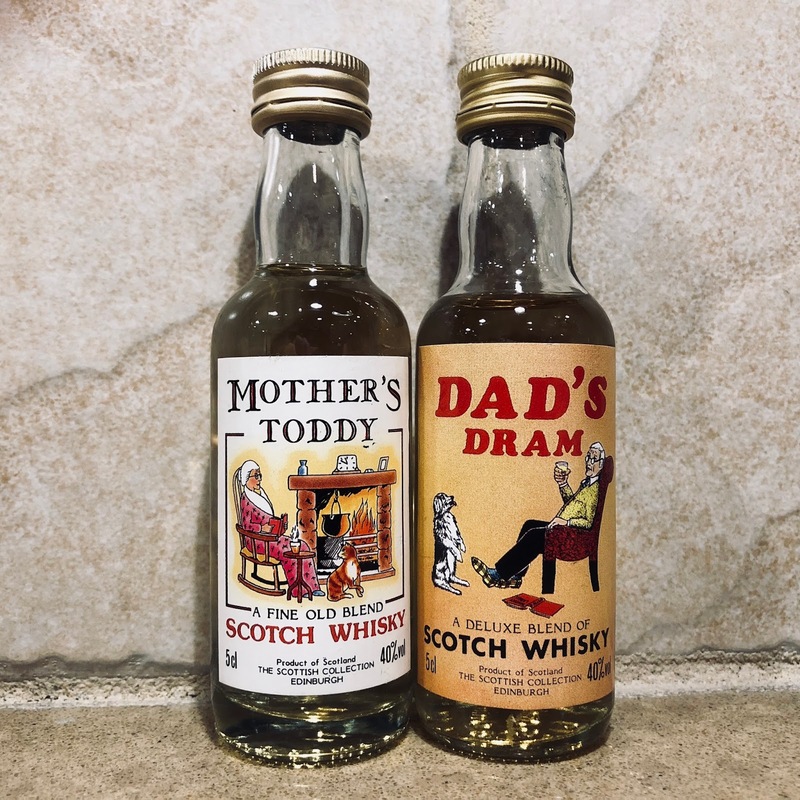 Dad's Dram would be a perfectly respectable $20 700mL bottle, while Mother's Toddy is preferable to the current version of Johnnie Walker Black Label. But these cost me $10+ per mini, so you may want to save your GBP for something else. Also, sayonara Chivas Regal. Is that Whistler's Mother or Santa Claus on the label? I can't quite tell. A compromise: Santa Claus's mother whistling?